it will end on: 5 March 17, 10pm! 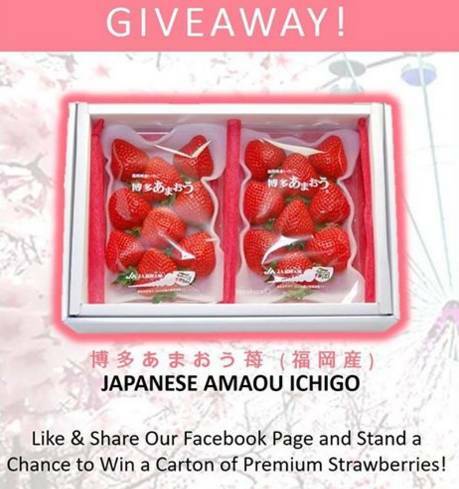 prizes you can get: 1 lucky winner will win a carton of Japanese Premium Strawberries! requirements: LIKE MomoBud - Online Premium Fruits Facebook page. and Leave a comment telling us why you would like to win!